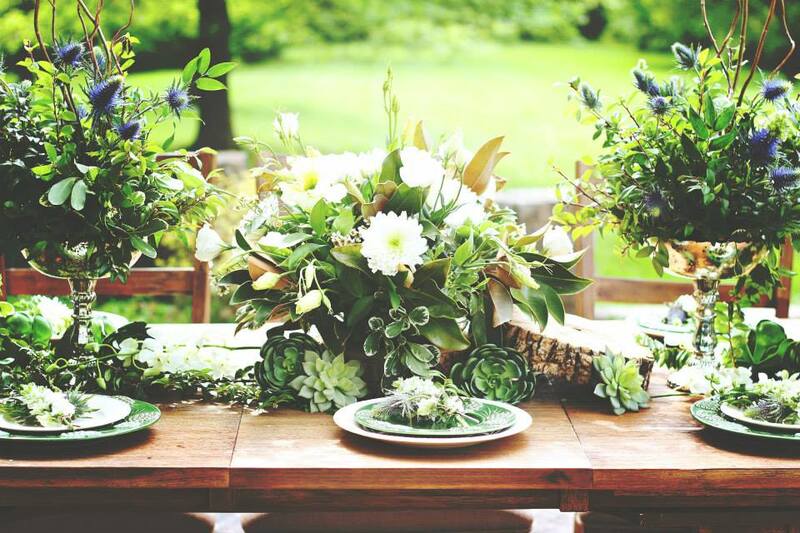 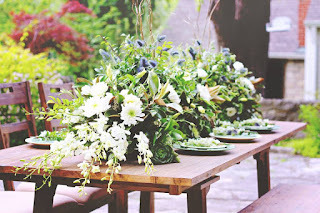 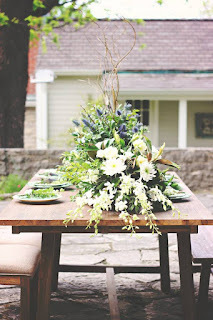 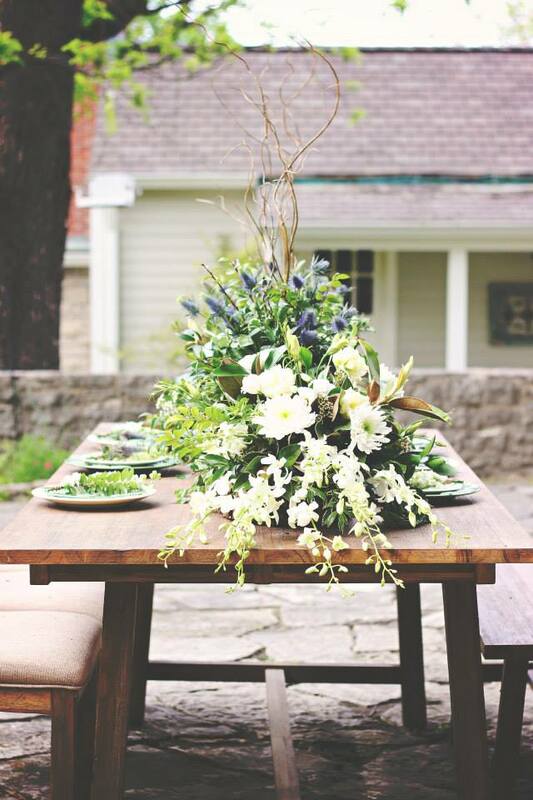 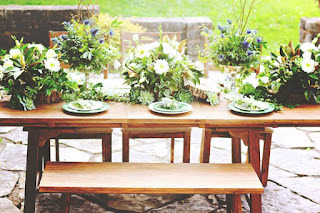 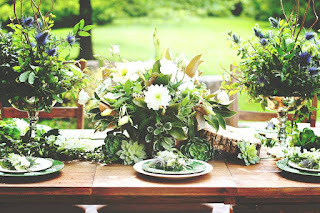 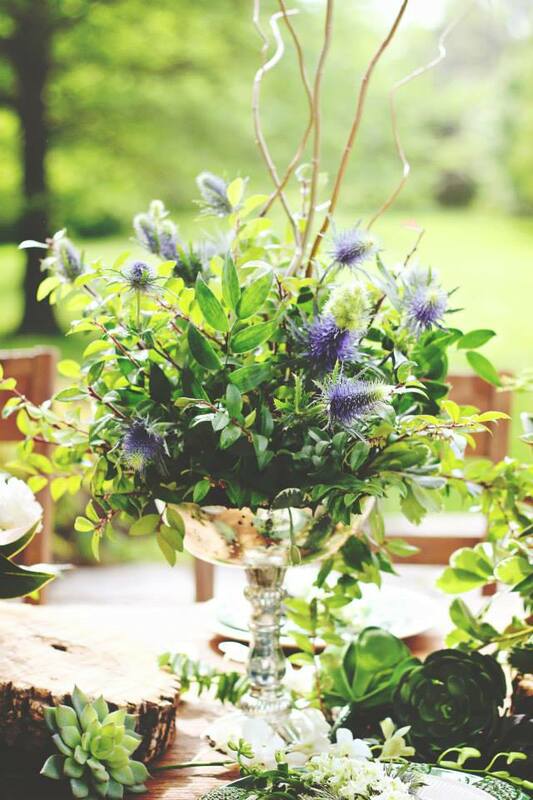 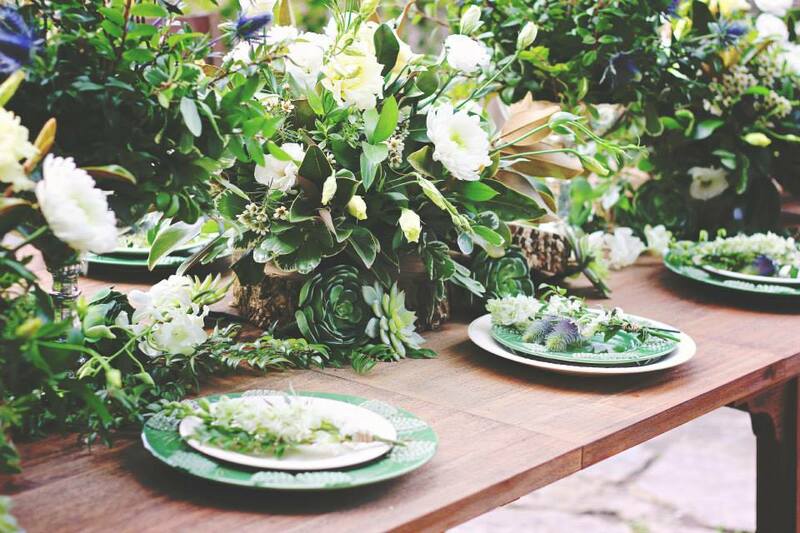 This rustic table was full of organic elements at a new historic farm venue, Heartland Estate. 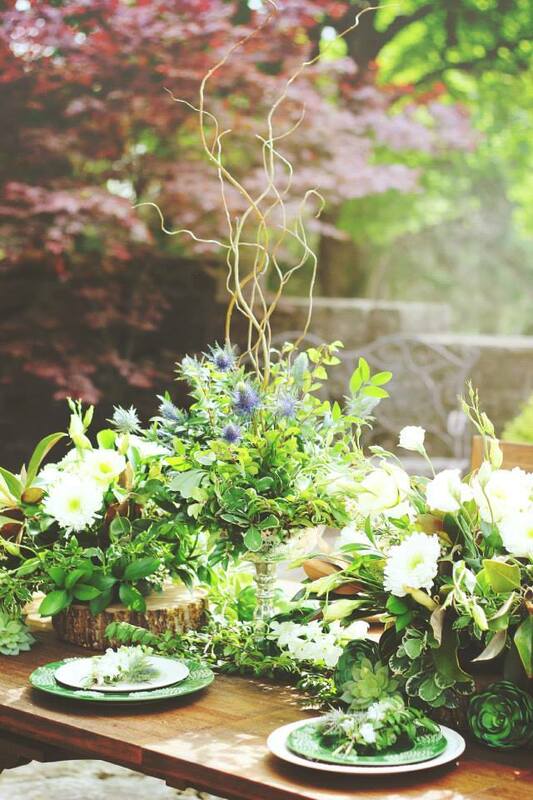 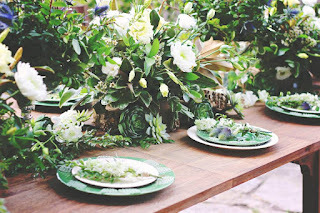 From the wood platforms to the succulents and greenery used in the arrangements, each detail reflected the organic theme. 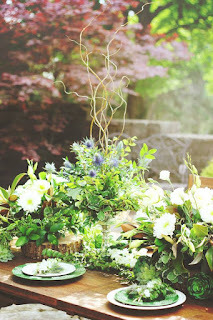 Images by Storybook Photography. 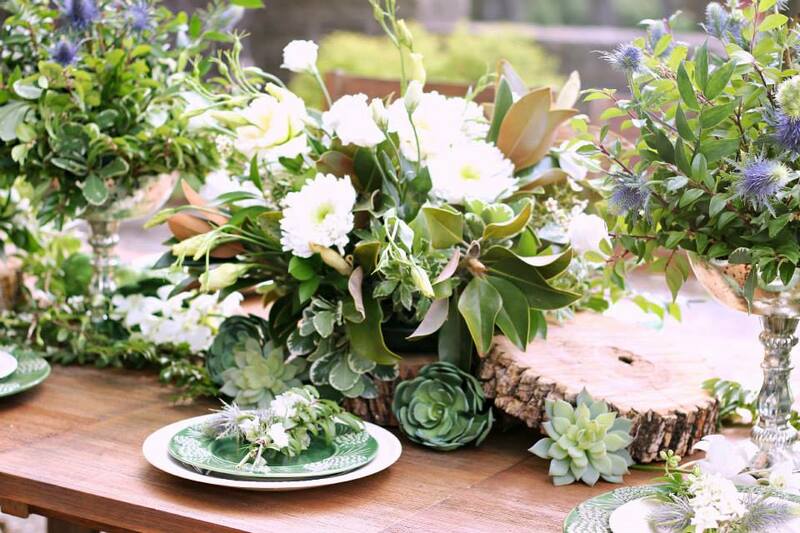 The overall idea was to showcase textures over colors, so we kept the general color scheme mostly neutral. 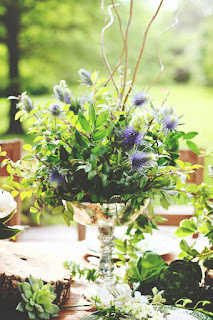 Blue thistle added the only bright pop of color in the mixed greenery. 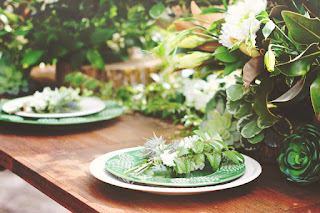 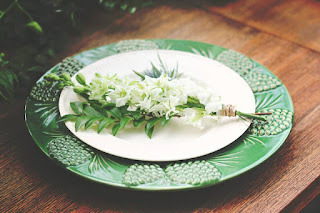 Each place setting had a coordinating, but not matching, cluster of organic elements. 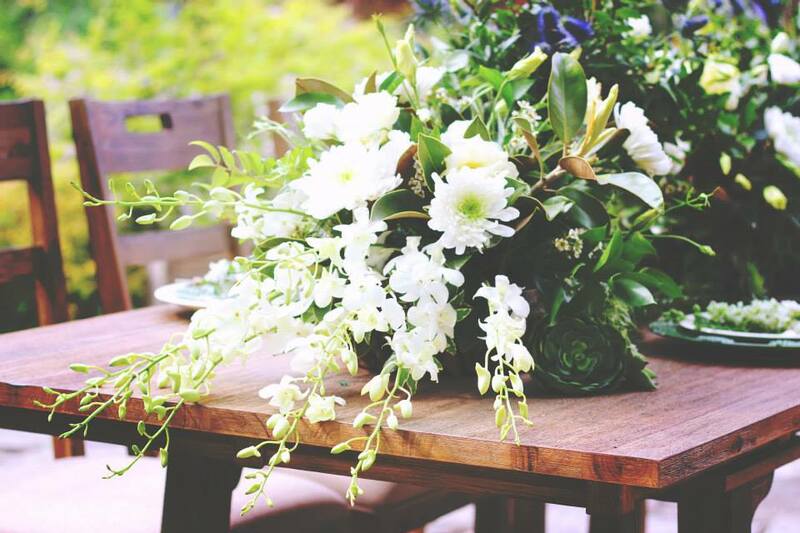 Even orchids can be organic and rustic in the right setting! We tucked succulents in anywhere we could! The key to this rustic table setting was using lots of different varieties of greenery and organic elements in natural shapes and tones.